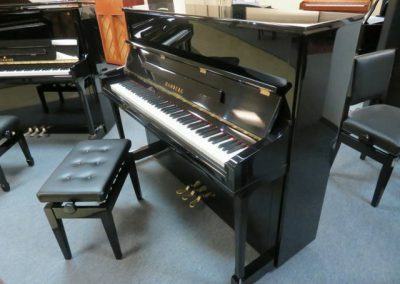 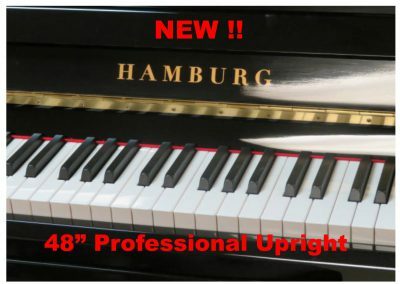 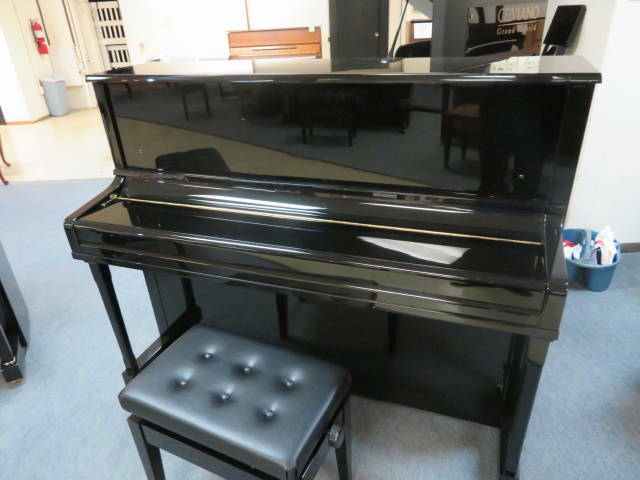 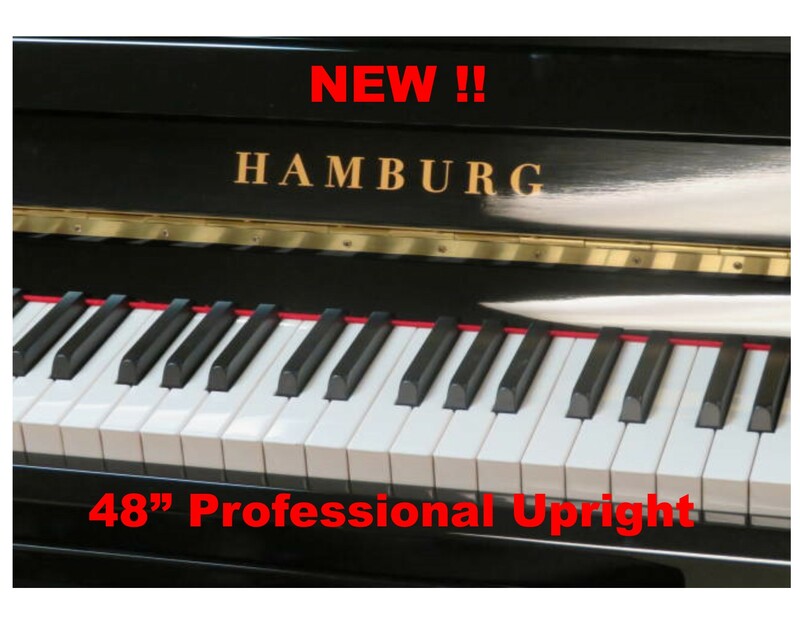 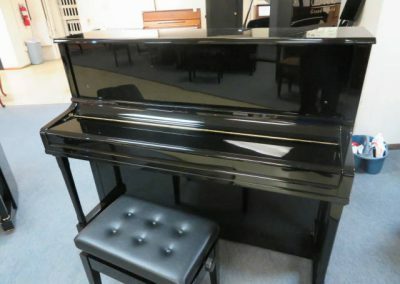 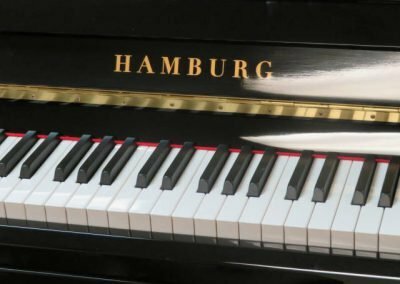 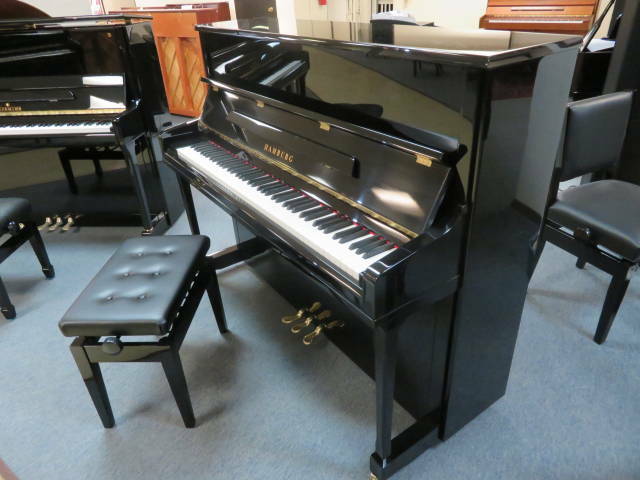 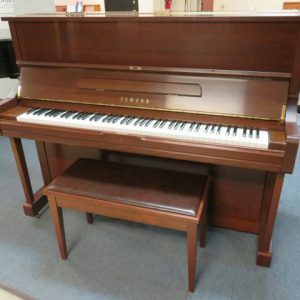 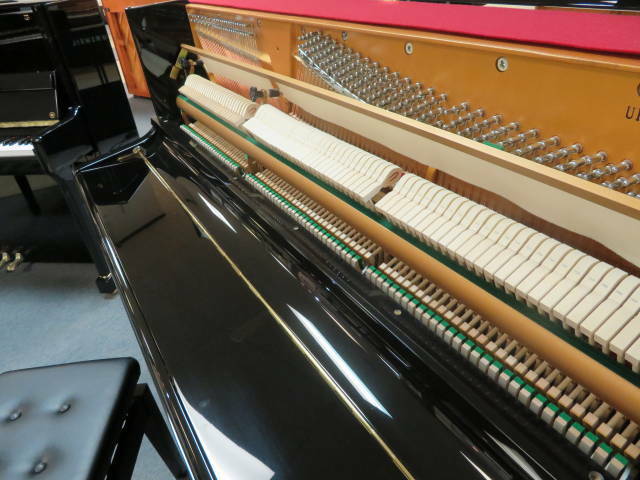 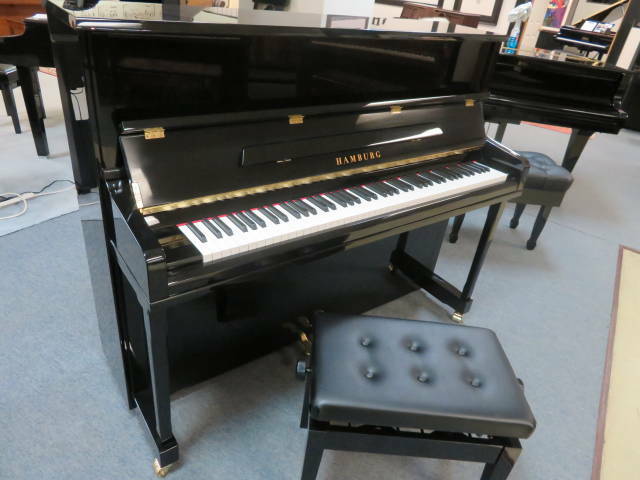 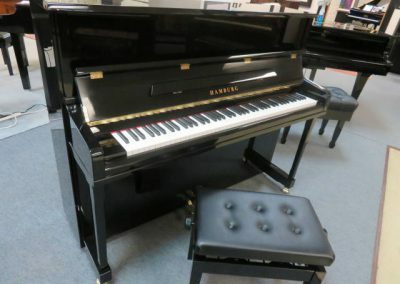 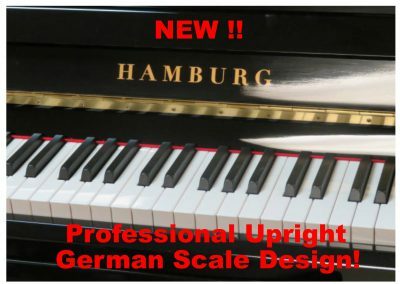 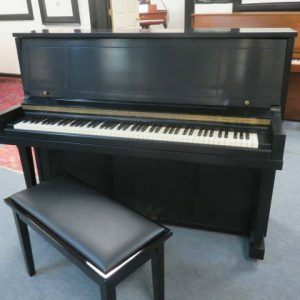 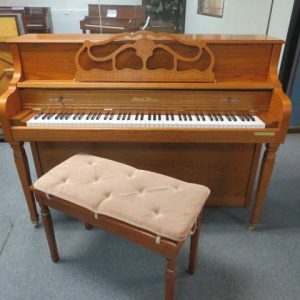 This NEW 48″ HAMBURG professional upright piano is finished in ebony polish and features German scaling and design. 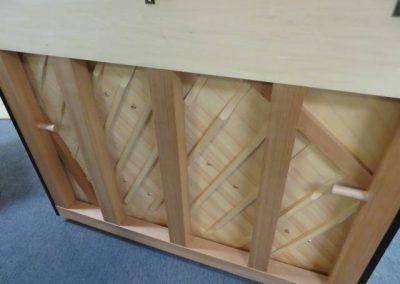 German hammers, solid custom fitted spruce soundboard,and 100% wet sand cast plate. 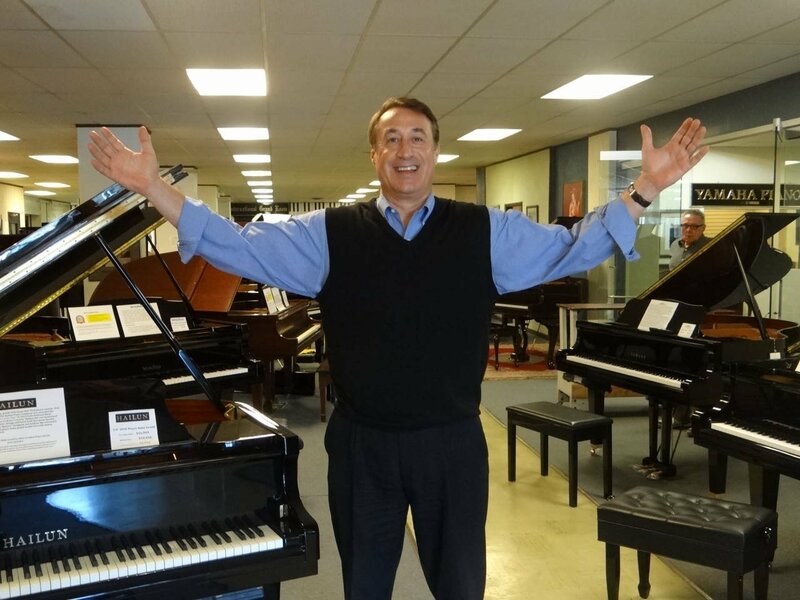 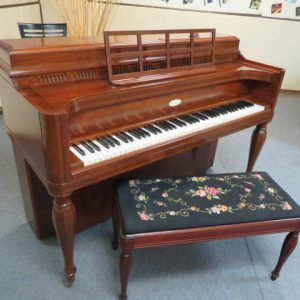 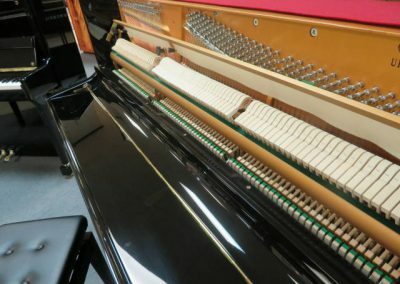 This piano is an ideal size for both private and professional teaching at music conservatories and schools. 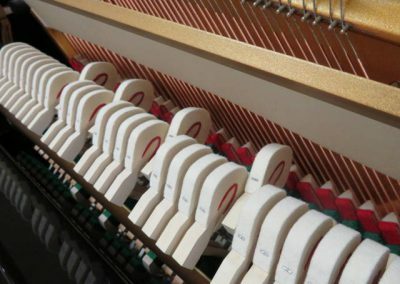 ACTION: (hammers, keys, shanks, dampers, flanges, whippens) German hammers and Roslau strungs (strung by hand) are custom fitted into the German/British designed Langer action. 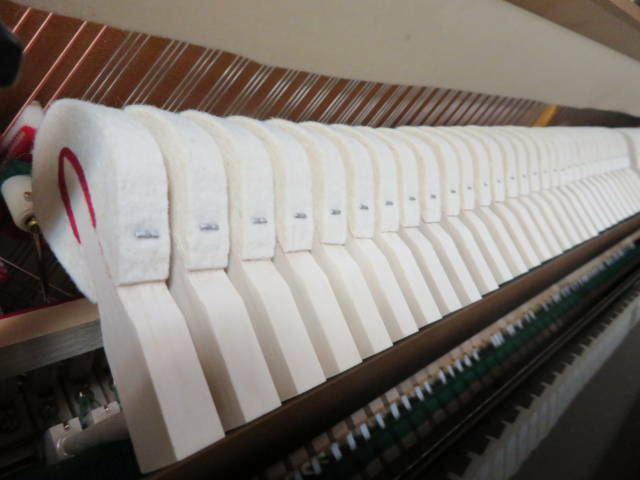 Roslau, and Langer are considered to be the finest manufacturers in their fields. 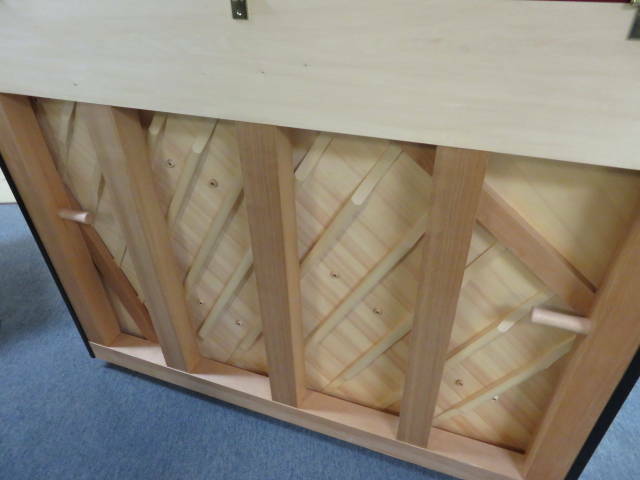 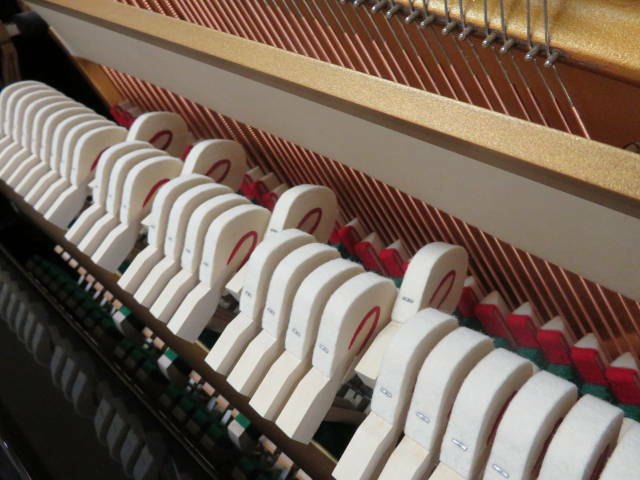 BELLY: (soundboard, pin block, bridges) This New German Built upright is fitted with the solid spruce sound board. Strunz, German’s oldest producer of premium soundboards, is known for finest hand selected German spruce. 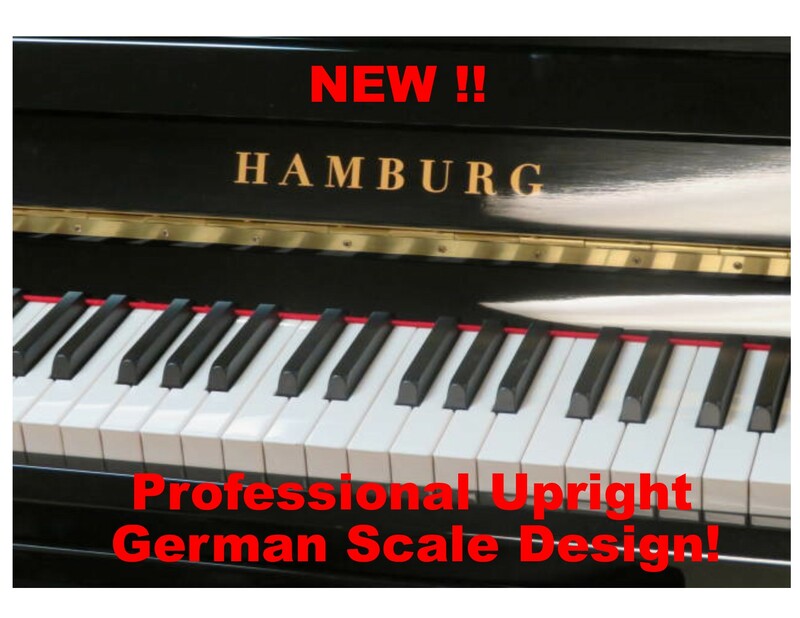 TONE: This 48" German Built Upright has a distinctive full and rounded European tone than is a much sweeter, singing tone than competitors. 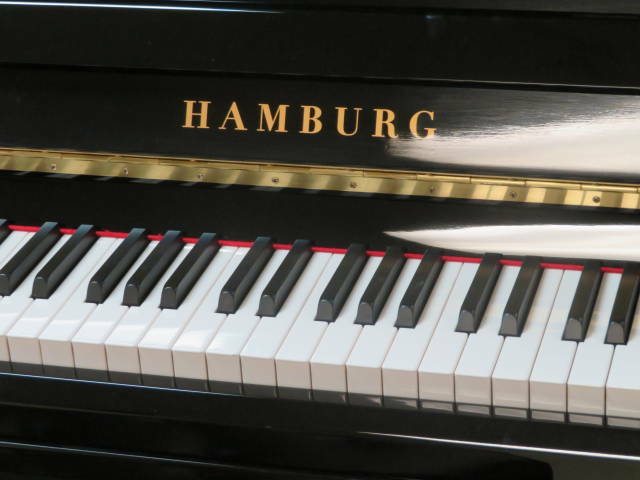 Rich resonant bass supporting a lyrical tenor and crystal bell-like treble. 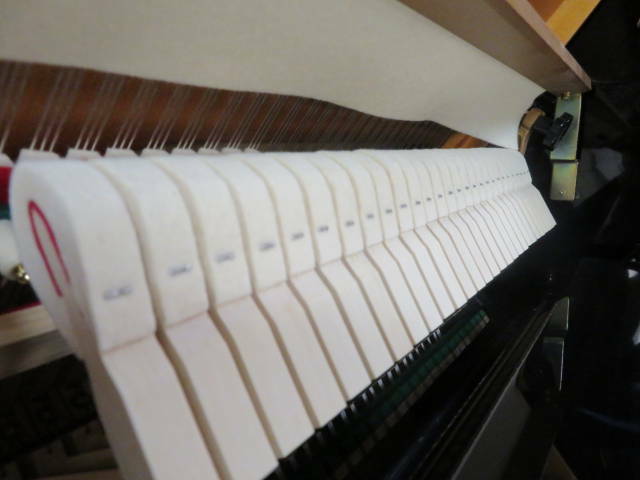 One artist commented “Chopin’s Nocturnes sang and wept…” What you would expect from a world class piano.